Home / Blog / Wake up and speak up! Korean Buddhists, please openly denounce the dog and cat-meat trades in South Korea. One of the notable South Korean Buddhist leaders, the Venerable Beopjeong, was born in 1932 and therefore knew well that war and famine led to shameful eating practices in Korean food culture. But he also made it very clear that eating dog meat is wrong and “is barbaric in today’s environment”; he said that “Culture must progress with the flow of time”. 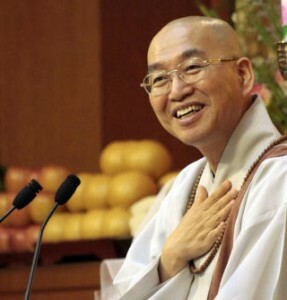 The Venerable Beopjeong was not afraid to speak out against the dog meat trade. The cruelty and abuse employed within the dog and cat meat trades goes against the fundamental teachings of Buddhism. Many South Koreans are Buddhists (@24%), and there are many Korean-American Buddhists; why are they not taking up the baton, today, from where the late Venerable Beopjeong left it, and speaking out against these evil trades? Click HERE for our petition. Please sign, call and email to the Korean Buddhists TODAY! 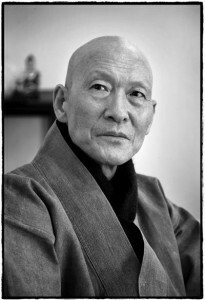 The Venerable Beopjeong, one of South Korea’s notable Buddhists, was not afraid to publicly speak out against the dog meat trade and call it barbaric; he said “dog meat consumption is an evil custom that doesn’t belong in a modern society”. His logical arguments against the consumption of companion animals cannot be countered, he also considered that their slaughter is “a betrayal of their faith placed in humans”. We urge you to stand together – to stand up for what is right – and to denounce the dog and cat meat trades for what they are: immoral, inhumane, cruel and unnecessary. WILL you accept the idea that you might return as an animal ,in your next life ,and be treated the way you are treating animals?